Woke up at 10:30 looked at each other and could not decide if this is the day we are leaving for Borjomi. Swiss boys kept pressing on us to go trekking and getting ready for the trek themselves- planning and buying food and asking me to be their trekking consultant. 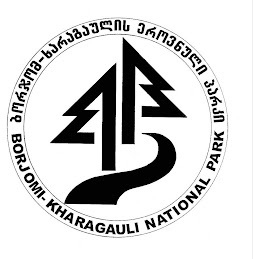 I got involved in the process of their trek planning and thought to myself- will I be able to stay set for 3 months in Borjomi when there are so many tempting mountain escapes in Georgia. During the process noticed how me and Gabriele agree on each and every aspect of how trekking should be planned and carried out- we would make a perfect mountaineering team. Finally it was too late to go to Borjomi anyway and we settled to cook lunch although it was already closer to dinner time, had a nap afterwards and then joined Flavio, Gabriele and Juan at a restaurant, who were engaged in a lively discussion about human-eating or otherwise dangerous animals of the world. Flavio led us once more for a walk through the backstreets, this time unlit and occupied by groups of males observing our every step, a creepy experience decorated by Flavio dancing out his nervousness and hugging all statues on the way. Came back to the safety of a well lit Rustaveli and had an incredibly long walk back to Dodo's- stopping on corners, sitting down on benches, talking and enjoying the night. Finished the night as always with a tea at the courtyard. Niklas came back very late, intoxicated by wine and overflowing with love for Georgia and Georgians, he was very sweet and I could not stop smiling at him. Linda: Borjomi, here we come!